Let us process the Payroll! 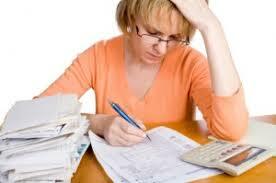 Let us take away the headache of your payroll! We will keep you up to date with your compliance needs with HMRC. We can process your payroll - weekly, fortnightly, monthly - we'll simply need your numbers to get setup and then we'll let you have your Employers Summary and payslips each payroll run. ​Payslip processing costs start from around only £3 per payslip! Let us take the strain - we'll guide you through the process and take care of the setup and processing of the auto enrolment pensions. ​There is a lot of guidance available on this, please get in touch and organise a free consultation to come and talk to us.